Kymco scooters are made by the Kymco Scooter Company, or more correctly Kymco Motorsports, Inc., a Taiwan-based company that also makes motorcycles and ATVs. Kymco is the largest scooter manufacturer in Taiwan. They've been around since before WWII and their website says that they "use the latest technology for the engineering and production of reliable engine, chassis, and other components." 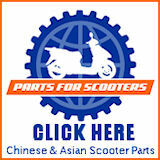 Kymco USA markets and distributes their line of scooters in the US. 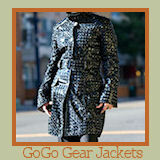 Their headquarters is in Spartanburg, SC and they've had a US presence for more than 30 years. They have a dealer network with more than 600 locations in the US, so if Kymco is what you want, you should be able to find someone selling them somewhere nearby. 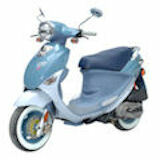 Kymco offers a really large line-up of models in quite a wide variety of different sizes. 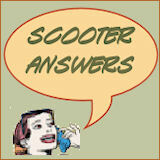 They truly offer a scooter for just about every type of rider. Some are sporty, while others have a more traditional style. One of the great things about the Kymco brand of scooters is that they offer so many choices. Clearly, this is a company that's been making scooters for a while! Kymco also offers the next step up... the moderate-sized 125cc to 150cc scooters, that are right for just about anyone who wants more power and speed than the small scooters, but doesn't have a need to traverse super highways. This is the perfect mid-size scooter! 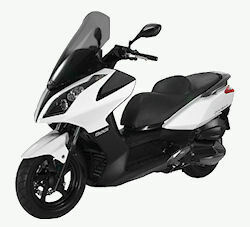 Kymco also offers 7 models of larger scooters, that range from 200cc to 300cc in size. 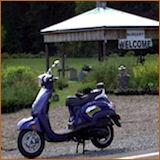 This is the size in scooters which generally offers the most flexibility, affordability and highway-worthiness. 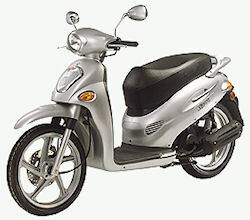 This scooter size is fast enough and large enough to compete safely even on expressways at high speeds, much as motorcycles do. If you're looking for a scooter with more speed & power than the smaller scooter varieties, but don't need a maxi-scoot, one of the Kymco models in this range may be the perfect alternative. Kymco offers only 1 maxi-scoot, the Kymco Xciting 500Ri scooter, which offers Kymco quality and economy in a new, bigger package. This powerful scooter enables you to travel at highway speeds with plenty of passing power. It also offers a well-padded driver's seat with adjustable backrest, four- position adjustable brake levers, and the aerodynamic windscreen. 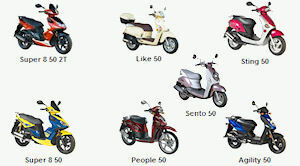 As you can see, Kymco scooters offers an incredible and varied line-up of models. 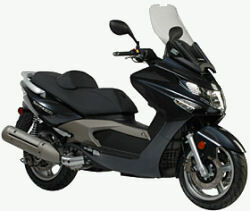 If you can't find a Kymco that you like, then you're not really trying! Add to that their 30 years of reliable service, and you have a great choice for your next scooter. 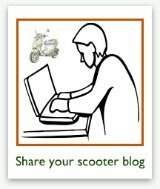 For more info about Kymco scooters, you can visit the Kymco USA website.